Plot - A female gangster of a Korean mafia sets out to find herself a husband after she learns that the dying wish of her sister is to see her get married. 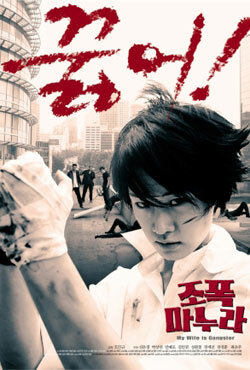 Eun-jin is a female Korean gangster who is separated from her older sister when they were kids at an orphanage. Upon learning her dying sister’s wish, Eun-jin sets off to find a husband for herself in order to fulfill her sister’s wish. She meets Soo-il, a gentle and kind-hearted man and both of them get married. Eun-jin then balances her criminal as well as her married life. Box Office Earning of "My Wife Is a Gangster"